New to River Cruises? Here's How to Find the Right One! New to River Cruises? Here’s How to Find the Right One! Have you held the misconception that river cruises are for old married couples? We want to tell you that things have been changing the last few years, and solo travelers, young couples, and family groups of all ages are discovering river cruises are a fantastic vacation choice. Click here to search river cruises. River cruises are gaining in popularity for many reasons. Here are CruiseExperts.com, we’re excited about the changes that so many people are finding exciting and inviting. Most river cruise lines are no longer charging extra for singles. River cruises are a great deal because they are all-inclusive! Enjoy complimentary wine, beer, and bottled drinks. Themed cruises often have special destination-related entertainment, lecturers on relevant topics, wine tastings, and included excursions. Guests enjoy gourmet quality meals. On theme river cruises you may get cooking lessons with the chef, and get to food-shop in the local markets. Cruise ships are smaller and offer a more intimate atmosphere, which is perfect for making lasting new friendships. A smaller size means the river cruise lines can take their ships into any size port. 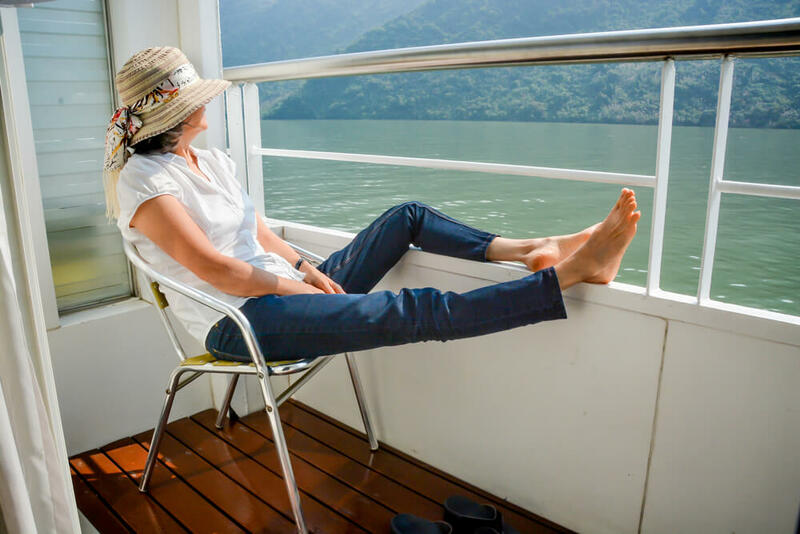 Staterooms are smaller than on ocean cruisers, but they are just as comfortable and modern. You may choose a room with a window or a balcony, and you will have spectacular views. You’ll always have a beautiful view on a river cruise. No matter where you are on your ship, your views will be countryside, small villages, cities, and even other types of boats on the river. You will not see just water surrounding you. There’s always a picture to take, and that’s why photographer’s love river cruises. Most of the cruising is during the night, so you get to spend days visiting ports and on excursions. Since the cruise docks right in the heart of many villages and cities, you can walk and explore on your own as well as join in group activities. Here at CruiseExperts.com we look forward to assisting folks with booking their river cruises. People get excited when they see how much fun they are going to have! Imagine being guests on one of the amazing Mississippi river cruises through the old south. You’ll spend nine days on this American Queen Steamboat Company river cruise experiencing living history from New Orleans to Memphis. The Antebellum period of American history is represented everywhere in the sugar cane manors, plantations, pillared chateaus, and Civil War battlefields. View 200 year-old oak trees and beautiful gardens at the Nottoway Plantation, the largest remaining Antebellum mansion. Vicksburg and Natchez are full of historic homes, quaint shops, cultural attractions, and plenty of great restaurants serving southern cuisine. This cruise is available every month of the year with many departure dates to make it easy to find one that fits your vacation schedule.